Every year around the start of July, it becomes abundantly clear via the calendar that we’ve hit the halfway point. Six out of twelve months have passed, and given that amount of time it feels appropriate to look back briefly on some of the highlights (and lowlights) of the music we’ve heard thus far. Rather than approach it in a typical “Best Albums” format (no hints as to the “master list” that will emerge in December), I like to instead examine the first half of the year in terms of “surprising” and “disappointing” albums. The differentiation between the two isn’t as simple as good and bad or black and white. There are records on the Surprising Albums list that won’t show up at year’s end as the “Best of” anything, and by that same token, just because a record winds up on the Disappointing Albums list doesn’t mean it’s destined for the bargain bin. In order to achieve the designation of being “surprising”, a record simply needs to blow my expectations out of the water. You turn it on expecting a total crapfest and wind up with something that at the very least leaves you moderately satisfied. A strange turn of events towards the positive side of the spectrum. Opposing that, those albums designated “disappointing” earn that label by building expectations prior to its release and then failing to meet them. Everyone WANTED to like the fourth Indiana Jones movie of the 3 “Star Wars” prequels, but in the end it was letdown city. You earn a reputation for greatness and then slip up for whatever reason. So as to avoid any sort of confusion or suggestion that any list is ordered in such a way that these albums are ranked, I’ve arranged each list to be alphabetical by artist. If you like, feel free to also click onto the links provided to read my original reviews of the albums on these two lists. Today we’ll tackle my list of “5 Disappointing Albums”. If you missed yesterday’s list of “5 Surprising Albums”, you can read that piece by clicking here. 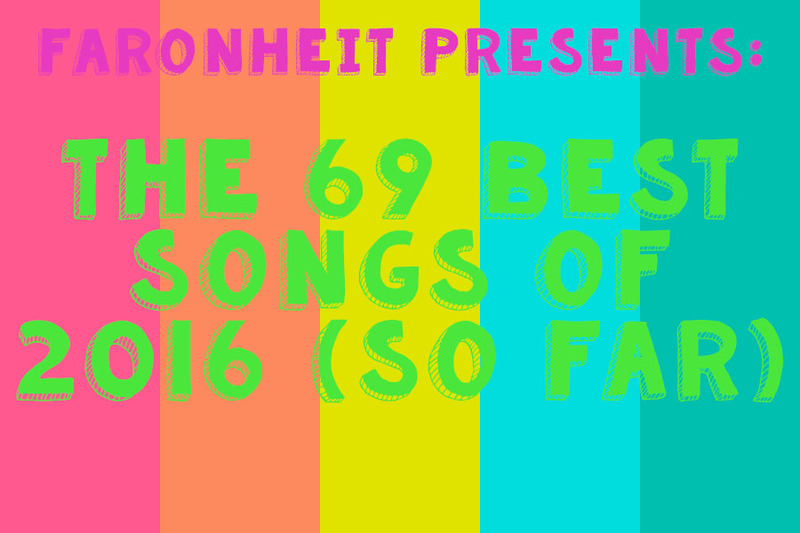 I hope you have fun and enjoy these lists, and by all means feel free to let me know what some of your most surprising and disappointing albums from the first half of the year are in the comments section. Every year around the start of July, it becomes abundantly clear via the calendar that we’ve hit the halfway point. Six out of twelve months have passed, and given that amount of time it feels appropriate to look back briefly on some of the highlights (and lowlights) of the music we’ve heard thus far. Rather than approach it in a typical “Best Albums” format (no hints as to the “master list” that will emerge in December), I like to instead examine the first half of the year in terms of “surprising” and “disappointing” albums. The differentiation between the two isn’t as simple as good and bad or black and white. There are records on the Surprising Albums list that won’t show up at year’s end as the “Best of” anything, and by that same token, just because a record winds up on the Disappointing Albums list doesn’t mean it’s destined for the bargain bin. In order to achieve the designation of being “surprising”, a record simply needs to blow my expectations out of the water. You turn it on expecting a total crapfest and wind up with something that at the very least leaves you moderately satisfied. A strange turn of events towards the positive side of the spectrum. Opposing that, those albums designated “disappointing” earn that label by building expectations prior to its release and then failing to meet them. Everyone WANTED to like the fourth Indiana Jones movie of the 3 “Star Wars” prequels, but in the end it was letdown city. You earn a reputation for greatness and then slip up for whatever reason. So as to avoid any sort of confusion or suggestion that any list is ordered in such a way that these albums are ranked, I’ve arranged each list to be alphabetical by artist. If you like, feel free to also click onto the links provided to read my original reviews of the albums on these two lists. Today we’ll tackle my list of “5 Surprising Albums” and tomorrow will top it off with “5 Disappointing Albums”. I hope you have fun and enjoy these lists, and by all means feel free to let me know what some of your most surprising and disappointing albums from the first half of the year are in the comments section. Looking on the opposite side of the penny from yesterday’s Mid-Year Review of 5 Disappointing Albums, today sees an examination of 5 albums released in the first half of this year that have genuinely surprised me. To help clarify, as I also did yesterday, when I use the word “surprising albums”, it’s NOT intended to imply they’re the BEST or my favorites, but simply records that have caught me the most off guard. I was not expecting these records to be as good as they turned out to be, and I hope that if you haven’t heard these albums yet that you make it a point to sometime soon. As it was yesterday, these albums are not ranked, but are listed in alphabetical order to prevent such impressions from occurring. And on that note, what albums have surprised you so far this year? I’m interested to hear your thoughts. Let me know in the comments. Whether you’re new to the site or have been reading Faronheit in some form or another for a long time now, I feel that it’s worth mentioning today is the site’s official 4th anniversary. Yes, Faronheit has been around since July 1, 2006, and while the first 3.5 years were spent over at Blogspot, at this point I couldn’t be happier with the recent conversion to the dot com status. Granted, those 3.5 years worth of site archives are currently in the wind somewhere and I’m fighting to get them restored and uploaded here so all of you can have access to the complete library of reviews and the like, but for the time being we’re making good with what we have. Faronheit was originally conceived as an outlet for me to have an open and honest discussion on a global scale with music fans looking to learn about and hear more from up-and-coming artists. Thanks to loyal readers, commenters and the multitudes that email me every day, because all of you contribute in one way or another towards making this site what it is currently. And the artists! They’re first and foremost in all this, so thanks for making music and giving us something to listen to and talk about at endless length. Now I’ll continue with a tradition that I started with the very first post on Faronheit, which is my Mid-Year Roundup. Today and tomorrow I will highlight a few albums released in the first half of the year that have surprised me and disappointed me. Typically I choose 10 albums apiece in the surprising and disappointing categories, but despite having heard a wealth of very good and very bad music so far in 2010, not a whole lot has caught me off guard in one aspect or the other. So I chose instead to halve both lists to keep things neater, cleaner and more organized. First up are 5 Disappointing Albums from the first half of 2010. Before we get started, I would like to clarify that the word “disappointing” is NOT intended to indicate BAD. An album can still be good and disappointing at the same time, because for all you knew the listening experience was supposed to be completely mindblowing but was instead only pretty good. Every album that made this list this year also coincidentally is by a band that has released at least two albums prior to their current one. The setup for disappointment in most of these cases is mostly failing to deliver on the promise that previous records had shown them capable of. Hopefully that makes more sense when you examine the list below, which by the way is not ranked and in alphabetical order for that exact reason. I’m also curious to know your opinions on this list, along with what albums disappointed you in the first half of the year. Let me know in the comments.